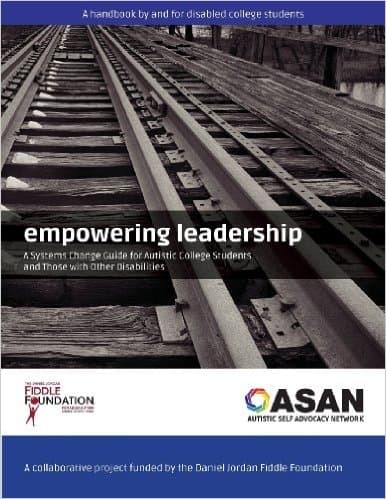 The Autistic Self Advocacy Network is honored to join The Daniel Jordan Fiddle Foundation in presenting Empowering Leadership: A Systems Change Guide for Autistic College Students and Those With Other Disabilities, a resource for equipping the next generation of leaders in the disability rights movement. On behalf of the Autistic Self Advocacy Network and The Daniel Jordan Fiddle Foundation, we wish you the best of luck as you continue to grow as activists, students, and self-advocates. Nothing About Us, Without Us!